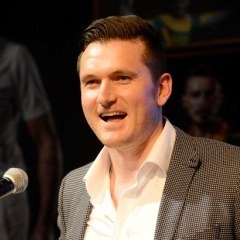 Cape Town - Former captain Graeme Smith says New Zealand deserved to beat the Proteas in their Cricket World Cup semi-final clash at Eden Park in Auckland on Tuesday. Brendon McCullum launched a calculated attack on the Proteas new ball attack and then the former South African Under-19 all-rounder, Grant Elliott, finished the job as New Zealand beat the Proteas by four wickets o reach Sunday's World Cup final. Smith analysed the game via a column on the ICC's official website. He drew similarities with the great 1999 World Cup semi-final when the clash between South Africa and Australia ended in a tie, only for the Proteas to fall out due to Australia having won an earlier game between the sides. In Tuesday's match, the South Africans squandered several opportunities in the field which ultimately proved costly, according to Smith. "At the 1999 World Cup when Australia were in a precarious position and faced with having to win all their remaining games to progress to the semi-finals, Steve Waugh spoke about the importance of taking every half chance that presented itself. In a tight game with so much at stake neither team is going to put in a flawless performance but the Proteas missed the half chances that counted and it ultimately cost them. Most tellingly they seemed to deviate from their pre-planned bowling strategy to McCullum by bowling poor lengths which allowed him to dictate the pace of the game," Smith wrote. "This in turn allowed for the middle-order to play themselves in as opposed to having to chase the game from the outset. We could further scrutinise the selection of (Vernon) Philander ahead of (Kyle) Abbott, the two missed run-outs and the miscommunication between (Farhaan) Berhardien and (JP) Duminy but ultimately New Zealand were the better team on the day and have been the better team in the tournament thus far."